Electrolytes are electrically charged minerals found all through the body. You’ll find electrolytes in essentially every type of bodily fluid — from blood to urine. These minerals are essential for health, because they help move nutrients into cells and move waste out. However, electrolyte levels can change regularly because of exercise, illness or even the amount of water you drink. The food and drink you consume can help you raise your electrolyte levels if they get too low. You’ll often hear how important vitamins and minerals are. Minerals like calcium, chlorine, phosphate, potassium, magnesium and sodium are also electrolytes. As you may know, these minerals are in many different foods and beverages. It’s important to consume electrolytes, because they help balance the amount of water in your body and keep your heart and nervous system healthy. Electrolytes also help move nutrients into cells while moving waste out. Electrolytes can become too high or too low, leading to electrolyte disorders such as hypercalcemia, hypomagnesemia or hyponatremia. Calcium, potassium and sodium imbalances are particularly common. 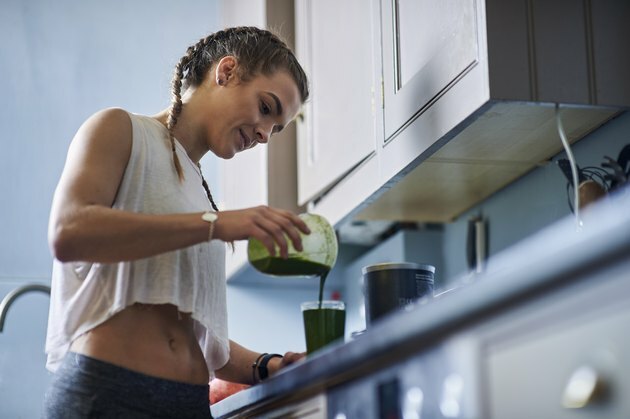 Low levels of electrolytes mean you’ll need to increase them — even before electrolyte disorders become serious, electrolyte deficiencies can cause issues. These deficiencies can lead to confusion, dizziness, irregular heartbeat, muscle cramps and muscle spasms. Electrolytes are particularly important for athletes and people who are ill, as their levels drop when you sweat. Certain products, like Powerade and Gatorade, are electrolyte-rich. You can also make your own electrolyte replacement beverages at home or even take supplements. Many products have different amounts of electrolytes. It’s important to read the labels closely, as different amounts are required based on your electrolyte replacement needs. Someone doing a long-distance marathon needs a different amount of electrolytes compared to a person who has been feverish. The best way to get electrolytes is naturally, through the food and drink you consume each day. Foods like chicken soup and drinks like coconut water are also good options. Whether it’s in the form of bone broth or sports drinks, electrolytes can help rehydrate you and keep you in good health. However, according to the American Council on Exercise, you can also obtain electrolytes from electrolyte tablets, sports gels, sports drinks, sports candy and sports gummies. Keep your electrolytes balanced to stay healthy. Your usual food and drink will typically keep them in check. Not everyone requires products like Powerade and Gatorade, or other electrolyte-rich sports drinks. In fact, such products are only really recommended for people who are likely to lose electrolytes in extreme conditions, such as people performing prolonged physical exercise in hot or high-altitude environments. These products may also be suitable for people who are sick; you become dehydrated and lose electrolytes if you’ve had a fever. Although hydration is important, you may want to consider drinking more than water if you suspect you're low in electrolytes. Rehydrating yourself is more effective when you consume foods or drinks rich in electrolytes.